Note: If you have the beta version you will want to remove that one and replace it with the new version. This one will integrate directly with our Forms where the beta version integrates with Tags. Firs things first: you will want to create a Form in ConvertKit. You will need this for connecting the Bloom integration. Open up your Wordpress website to install the plugin. Go to Plugins → Add New. This will allow you to view up the files on your computer. Find the ConvertKit Bloom zip file and click upload. Time to install it! Finally, after installing, simply click Activate, and you're done. Now you’re ready to connect it to your ConvertKit account. You will find Bloom at the bottom, on the left-hand side, in the sidebar. Click ‘Email Accounts’. Now it’s time to make some magic happen: Let’s connect Bloom to ConvertKit. Click ‘Select One’ and a drop down menu will appear. Find ConvertKit, toward the bottom. Give your account a name so you can easily find it, and enter your API code from your Account Settings page in ConvertKit. That’s it! Note: You may have to click the "Sync" button in the Bloom options to have your ConvertKit Forms. The next section is all about designing your Forms within Bloom. First things first! Before you can set up Bloom, you will want to create a new Form in ConvertKit. Once that is done, move back to Bloom. Start with creating a new Opt-in Form in Bloom. You will want to select ConvertKit from the dropdown box, and select the Form you want to connect to. Now you can start designing your Form! 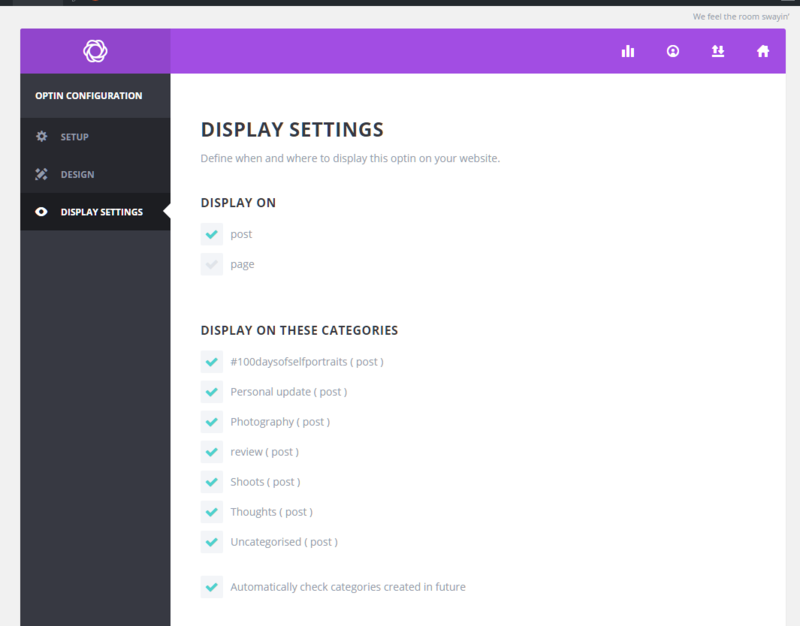 Bloom will add your Form automatically to your website using the settings you added, in Display settings. Once you’ve selected this, your Form is live! Keep in mind, if you’re using our Wordpress Plugin, that you set that to ‘none’. This will prevent a double Form from showing up on your website. No double rainbows this time. Voila! You’re all set to start using Bloom and design your opt-in Forms!